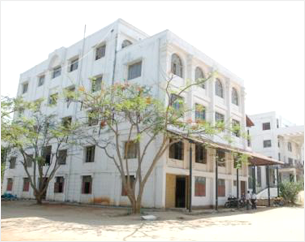 Er.Perumal Manimekalai College of Engineering (established 2002), approved by AICTE and affiliated to Anna University, offers the students an advantageous atmosphere with state-of-art facilities, distinguished mentors and pleasant educational environment to provide Quality Education. Our Institution has accredited by NAAC with B++ Grade and attained recognition of ISO 9001:2015 certification for Quality Systems. Located in Nallaganakothapalli, Near Koneripalli, Hosur, Krishnagiri District, vicinity to Bengaluru. Rules for promoting to Higher Classes. Establishment of an Innovation and Entrepreneurship Development Centre[IEDC] .. Innovation and Entrepreneurship Development Centre (IEDC) promoted in 2014 sponsored by NSTEDB, DST, Govt. of India. Women Technology Park promoted in 2016 sponsored by Department of Scientific & Technology, Govt. of India. Business Incubation Centre promoted in 2015 sponsored by Ministry of Micro, Small and Medium Enterprises, Govt. of India. Government of Tamilnadu e – Governance Agency (TNeGA) – Innovative software project competition: Our students bagged the First Three Prizes in the Honorable Chief Minister Award for Excellence in e – Governance in District Level. Indian Institute of Technology (IIT) – Bombay awarded the “5 Star Rating” Remote Centre of our Institution. Amrita University Virtual Labs – An Initiative of MHRD Under the NMEICT ranked 4th place out of 86 Institutions using the virtual labs for the effective learning. “Appreciation award from ISTE” for Organizing the Indian Society for Technical Education (ISTE) Regional Conference 2015. Computer Society of India awarded “Best Accredited Student Branch” for the academic years 2012, 2013, 2014, 2015 & 2016. DataQuest Magazine – India’s Best Private T – Schools ranked our Institution in “64th Position” in National Level of Engineering College’s Survey. Career 360 – The Education Hub has recognized with “A+ Grade” for our Institution for the academic year 2015 – 2016. Infosys Technologies recognized as “Partner in Success 2012, 2013, 2014, 2015 & 2016” as “Advanced Partner Institute” status for excellent contribution in Campus Connect Programme. Our Institution has been ranked the following positions in Anna University Academic Performance of Affiliated Colleges out of 523 Institutions as 46th Position in Nov. / Dec. – 2015 Examinations. 9+ Centre’s of Learning | 26+ MoU’s with Professional Bodies, International Associations, Institutions of Higher Learning, Information Technology Partners, Skill Development, Training Partners and Management Associations. Wipro Technologies Best Project Award for Solar Panel Tracker Using LDR Sensor using UTLP Kit @ PRAKALPA Regional Competition and Won Second Prize. Our Institution has been placed the following positions in Anna University April / May – 2016 Examinations of Affiliated Colleges as No.1 position in Krishnagiri & Dharmapuri Dts, No. 2 Position in Krishnagiri, Dharmapuri & Vellore Dts.